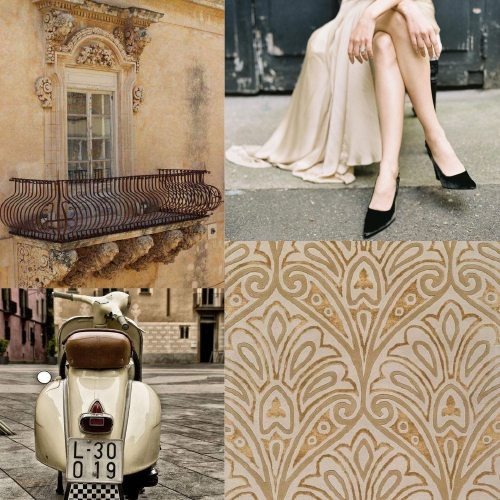 Photo credits: balcony image found via All the Beauty Things...; gown image by Nicole Colwell found via Wedding Sparrow; patterned rug image found via Organizationally Impaired; Vespa image found via This Ivy House. Photo credits: magnolia blossoms found via This Ivy House; house with gables source unknown; bride image found via Peaches & Mint; mountain image found via It's a Colorful Life. Photo credits: window image found via This Ivy House; image of tiles found via Peace & Love; tulip image found via Ive Freya; Valentino Haute Couture found via Not Ordinary Fashion. 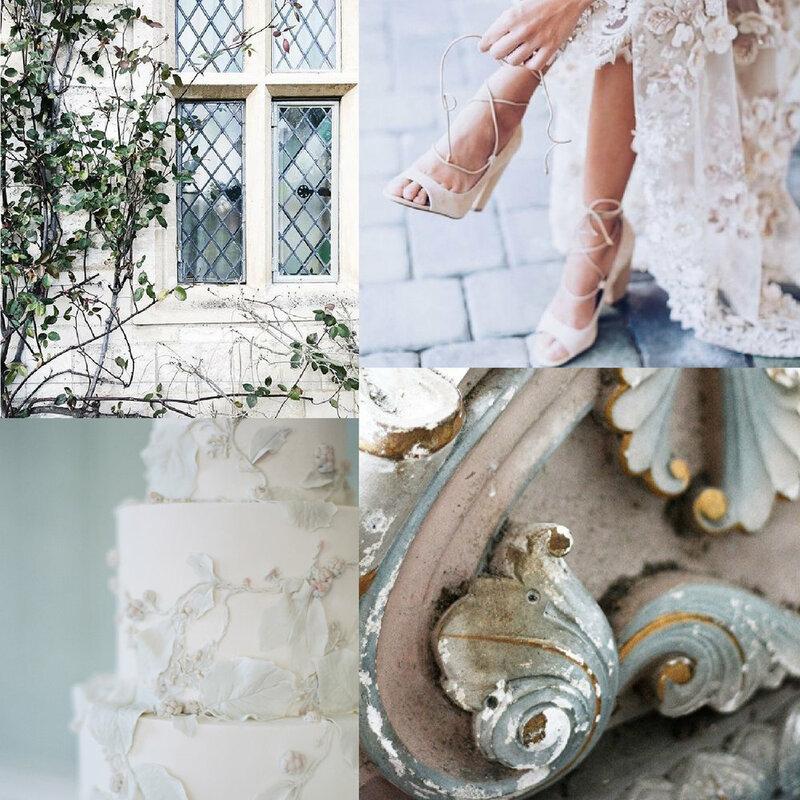 Photo credits (clockwise from top left): Rustic White Photography; Rylee Hitchner Photography; Hannah Forsberg; peony image found via This Ivy House; Marieke Verdenius; Jeremy Chou Photography; hydrangea image found via Celia Basto; M.K. Sadler. Photo credits: window image found via Maisons Blanches; image of lace dress and shoes found via The Style Cocktail; image of architectural detail found via It's a Colorful Life; cake by Tessa Pinner with image by Carlos Hernandez found via Once Wed.